You really would have to be blind not to have noticed this summer's trend, which I am affectionally calling "Flowerbomb". That's right, flower print clothing is an essential this Summer and you won't have to travel very far to locate some sort of floral print clothing. It is on everything from trousers and skirts to dresses and cardigans even right down to shoes. "Flowerbomb" really does cater for everyone - there are subtle pieces and then there are what i like to call flower explosion pieces. I am sure you know what I mean. 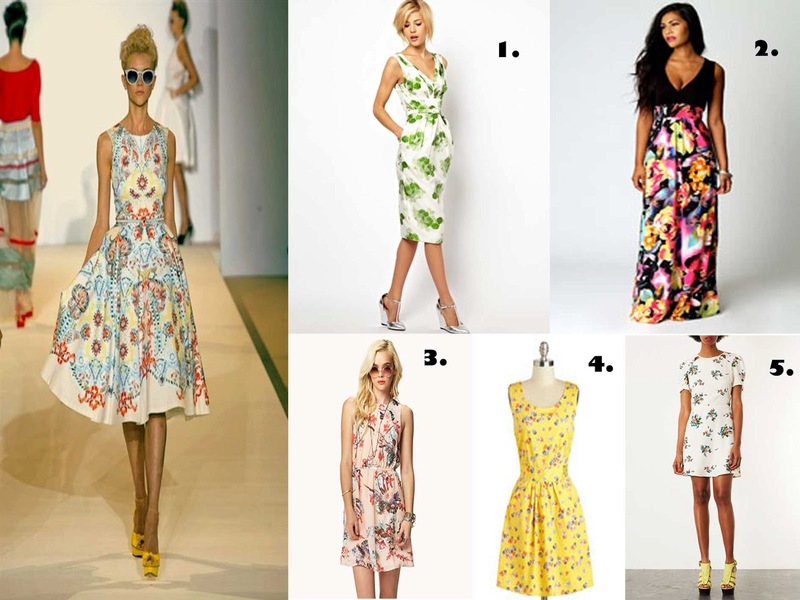 I trawled some stores for floral dresses that I liked (and were reasonably priced) and collated them into the picture above.